The West End theatre district in London is famous of its musical plays and shows. Musical tickets can be procured from online websites in a matter of minutes. Needless to say that it is convenient and easy way of booking tickets for theatre lovers. In addition to the feasibility, it also gives the benefit of choosing your seating and being able to take advantage of the many discounts offered on shows. Musicals have forever been an integral part of live theatre, and this is evident at the theatre district that houses world famous musicals that have been running here for years now, without any sign of dwindle in the crowd that is lured here by the larger than life productions. The voices, costumes, story telling, songs, sets, and the talented performances in musicals are enjoyed by audiences of all ages. This is the reason why this genre is a favourite among families as well. Musical plays like the Lion King is ideal for viewing by children over the age group of five, and is the perfect way of introducing your child to the magic of theatre. Some of the most popular musicals are Chicago, Phantom of the Opera, Love Never Dies, We Will Rock You, Dirty Dancing, Legally Blonde, Betty Blue Eyes, the Lion King, Wicked, Mamma Mia, Billy Elliot, Thriller Live, and Les Miserables. Other musicals that may catch your fancy are Batman Live, Betwixt, Blood Brothers, Dreamboats, Fela! Ghost The Musical, Jersey Boys, Julie Atherton: No Space For Air, La Soiree, Lend Me a Tenor, Meow Meow, Million Dollar Quartet, Naked Boys Singing, Rock of Ages, South Pacific, Stomp, The Go! Go! Go! 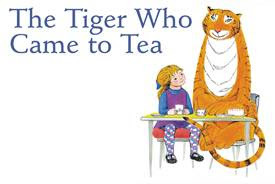 Show, The Snowman, The Tiger Who Came to Tea, and Viva Forever. on famous novels like Wicked, which is derived from the novel ‘Wicked: The Life and Times of the Wicked Witch of the West’ written by Gregory Maguire or The Tiger Who Came to Tea, which is based on a best selling picture book of all time written and illustrated by Judith Kerr. Even though most musicals may be enjoyed by everyone, if you are interested in taking your children to a play, picking musicals like Lion King, The Tiger Who Came to Tea, or Wicked may be a good choice. Since, the first experience with theatre is always a memorable one and defines your child’s like or dislike towards performance art, a careful selection may go a long way into making buying musical tickets a monthly ritual.